We are saddened to report the passing of Clint Smith of Four Mile Nursery in Canby, Ore. He died Saturday, May 3, 2014, at home, following a long battle with prostate cancer. He was born August 15, 1942 in Oregon City, Ore. to Evelyn and Howard Smith. He grew up in Canby, graduating from Canby High School in 1960. In 1962, he married his childhood sweetheart, Linda. He attended both Oregon State University and Portland State University, where he graduated in 1964 with a bachelor’s degree in business administration and marketing. He joined the family business, Four Mile Nursery, in 1972. His father, Howard, had established the business 20 years earlier. Clint was active on several industry and non-industry boards, groups and associations. He served as President of the Clackamas Chapter of the Oregon Association of Nurseries (OAN) and was on the Executive Committee from 1992 to 1998. He was president of the OAN from 1996 to 1997. He was recognized throughout the industry for his hard work and dedication. 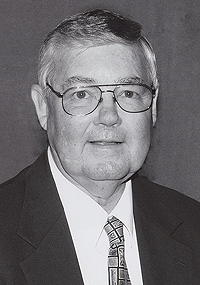 He was awarded the 1994 President’s 5-Star Award; 1997 Voice of the Industry Award, 1998 Political Awareness Award, 1999 Clayton Hannon Distinguished Service Award and 2001 Pacific Coast Nurseryman Outstanding Service Award. In 2003 he was awarded an OAN Honorary Life Membership. Clint was appointed in 1999 to the Oregon Board of Agriculture by Governor John Kitzhaber and later served as chairman. He also served as lieutenant governor of the American Nursery and Landscape Association for the state of Oregon. In 2006 Clint was inducted into the Oregon Nurseries’ Hall of Fame, becoming one of just 38 individuals to date who have been so honored. Clint’s pride and joy was his family, and he was proud to see his son, Ryan, pursue the family business. He loved spending time with his grandchildren. You could count on seeing a sparkle in his eye when the grandkids were around. He enjoyed spending winters in Palm Desert, Calif., and golfing with his friends at the Oasis Country Club. He is survived by his wife, Linda; mother, Evelyn Smith; sister, Linda Buelna; children, Jenni Beatty, Jill Guinosso and Ryan Smith; their spouses, Phil Beatty, Dave Guinosso and Corey Smith; and grandchildren, Bryce, Cortney and Kaitlyn Beatty; Katie and Ellie Guinosso; and Ainslee and Dani Smith. A Celebration of Life will be held at 1 p.m. Saturday, May 10, 2014 at Zoar Lutheran Church, 190 S.W. Third St., Canby. Memorial donations may be made to the Zoar Lutheran Church building fund.